Hauz Khas Village, like so many others in delhi, is an old settlement. As Delhi expanded, and village fields became housing estates, the villages became swallowed up. Hauz Khas Village is somewhat different. It is not adjacent to housing estates, but to two large parks, both of which are home to herds of deer. 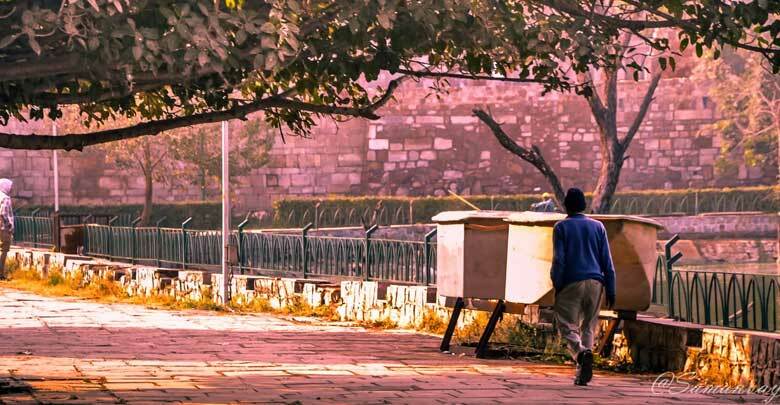 ‘What also makes Hauz Khas unusual is its array of chic boutiques selling designer clothing, expensive restaurants, and “antique” and interior design stores. The origins of this concentration of fashionable outlets can be traced back to the late 1980s, when a group of Delhi’s fashion designers relocated their studios and opened shops in the village. The “ethnic chic” of the village appealed to Delhi’s rich and middle classes, and soon Hauz Khas had more designer boutiques that buffaloes. It has remained a fashionable location but what is left of the original village atmosphere is by now rather contrived. 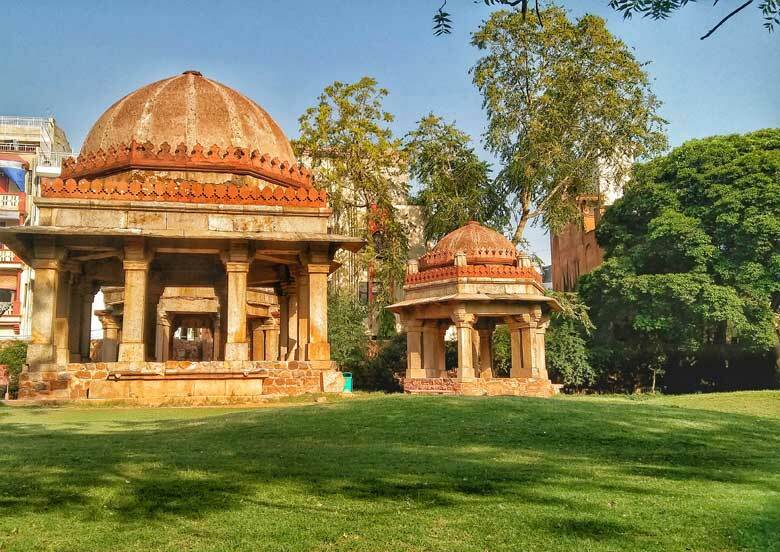 That said, Hauz Khas is still very pleasant, surrounded as it is by greenery and with the ruins of the madrasa and tomb of Feroze Shah Tughlaq. It is also one of the best places to check out the latest styles of Delhi’s top designers. Of all the various types of shops on offer, the most numerous, and best, are the designer boutiques. These sell mostly shalwar kamiz (the long flowing top and loose trousers traditionally worn by Muslim women) and lehenga (a combination of long skirt, blouse and jacket worn by women from western India) in expensive silks, muslins and printed cottons, many with stunning appliqué. Expect to pay anything up to Rs15,000 for the most expensive outfits. Among the more interesting designs are those by Ritu Kumar, whose shop Ritu’s is at E4 Hauz Khas Market. Nasreen Qureshi, orignally from Lahore but now living in Delhi, sells elegant shalwar, Neelam Jolly’s has traditional designs that might appeal to Western visitors, and, for a wide selection of different designers’ work, try Marwari’s who maintain a constant turn-over of stock. Many of the boutiques also sell accessories, including delicately decorated traditional shoes and bags. One boutique branching out into interior design is Expressionist Designs, whose ground floor is given over to the clothes of Delhi-based designer Jaspreet. For ethically sourced and beautifully embroidered clothes visit SEWA (Self-Employed Women’s Association), a Gujarati organisation which promotes women’s rights. They are at M1 Huaz Khas. Hauz Khas is also the location for some excellent restaurants. Perhaps the most atmospheric of these is the Park Balluchi, within the Deer Park itself. Its design resembles a large greenhouse, from which you can look out on to the surrounding trees and grass. The award-winning food consists of beautifully prepared non-vegetarian Mughlai dishes. The other restaurants of Hauz Khas are within the village. The Village Bistro Complex contains the Mohalla and Khas Bagh, which serve North Indian dishes, the Kowloon Chinese restaurant, and the rooftop Top of the Village, which looks out over the madarsa. Traditional dance performances are staged very evening on the roof. Also part of the complex is Le Cafe, selling Western food. Next door to Le Cafe is the Baujee ka Dhaba, a restaurant specialising in dishes from the Northwest Frontier. Behind the restaurants is the Village Gallery, displaying works of local and visiting artists. All in all, a great deal has been squeezed into a very small area — a tribute to the planning of village lanes rather than to modem innovation. of unity and purity — was built between 1980 and 1986. The basic structure is matte of concrete clad in brilliant white marble. Visitors may enter the temple (closed On Mondays) but they must remove their shoes and remain silent w hen inside. Haut Miss: If you go north on Aurobindo Marg from the Qutub, you come to a large redbrick church embellished with a white cross, which separates Green Park from the Safdarjang Development Area. If you turn left at the church and some 500 yds (457 m) on you reach, on the right, the beautifully landscaped Deer Park, on the left a wooded area with pleasant walks. In front is Hauz Khas Village: if you pick your way through the village. you reach the entrance of the monument. Small and well-kept, this is a green island of peace in which to relax for half an hour. The name Hauz Khas (Great Tank) derives from the spacious reservoir that in the 13th century Emperor Ala-ud-din Khilji had constructed to supply water to the people of Siri. After you enter, turn right and look out and down at the steps leading down to the ground. Centuries ago, these steps were the ghat that led to the tank. Timur, who camped here before gathering his forces to attack Ferozabad in 1398, was amazed by the expanse of the tank: an arrow shot from one bank, he declared, could not reach the opposite shore. The Hauz, repaired carefully by Feroze Shah Tughlaq some years before Timur’s invasion, became the cool setting for a madrasa (high school/college). The classrooms, ranged along two storeys in an L-shape around the tank, must have made this a very pleasant university. In Feroze Shah’s reign Delhi was among the major intellectual centres of Islamic culture, with many madrasas. That Feroze Shah had a special attachment to this place is suggested by the fact that he wanted his own mausoleum to be here rather than in Tughlaqabad where the earlier “Fughlaq rulers were buried. His tomb, to the west in the complex, has lost its white-lime facing but has a pretty marble-and-sandstone string course, and an attractive stone railing. 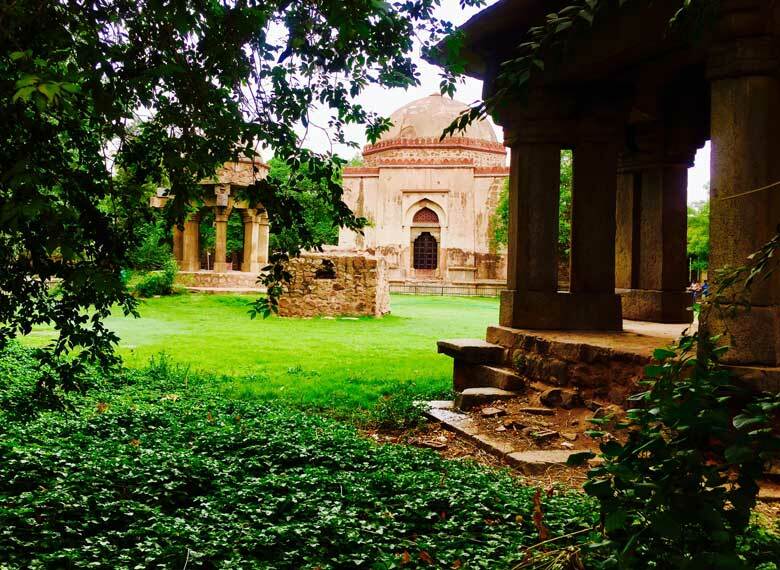 Lodi Delhi: The Sayyid and Lodi rulers did not build any citadel in Delhi, but the area from Hauz Khas to Siri and the modern Khel Gaon Marg has many scattered building of that period. 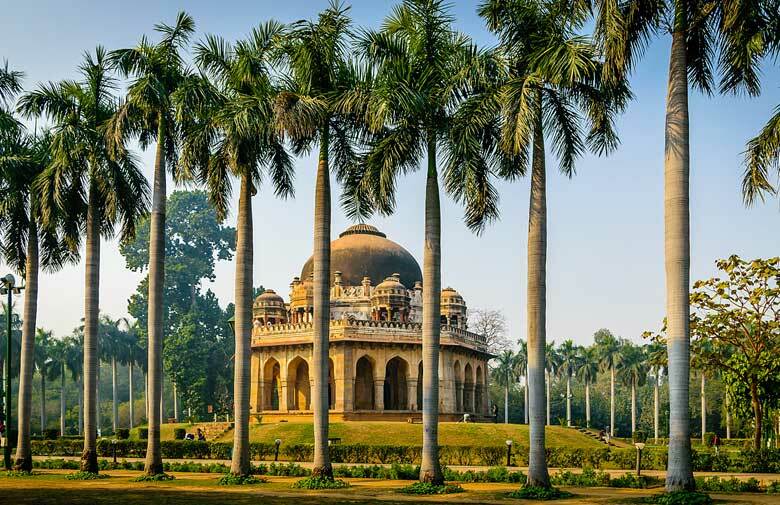 Some Sayyid and Lodi monuments further north were enclosed by the spacious Lodi Gardens, marking the southern boundary of Lutyens’ Delhi. These are awesomely sturdy stone buildings, with striking details in marble and sandstone. Some have tantalising fragments of the original blue tiles on the exterior, and traces of their original colours in the stucco relief work in the ceilings. 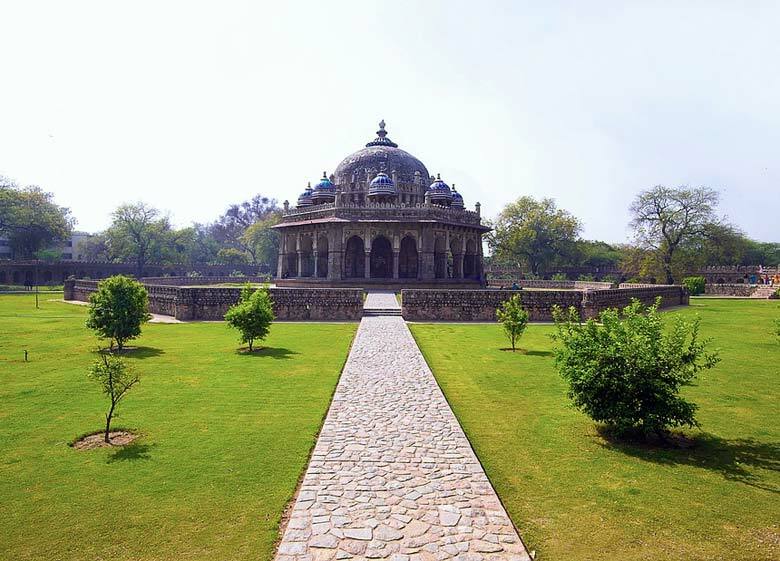 The Dadi-Pothi (Grandmother-Grand-daughter) tombs between Hauz Khas village and the Free Church, and the Nili Masjid (Blue Mosque) on the other side of Aurobindo Marg and across from the Church, are a few of these. A right turn off the road from Aurobindo Marg to Panchsheel Colony leads to Chor Millar, a tower with the holes in the sides from which it is said the decapitated heads of criminals were displayed. Some interesting monuments are tucked away in the two sections of South Extension, on both sides of Mahatma Gandhi Marg (Ring Road). South Extension Part One: Turn left from the Mahatma Gandhi Road going east, just before the Market; the second turn to the left brings you to Kale Khan’s tomb, on raised ground inside an enclosure. This memorial to Mubarak Khan, a nobleman of the Lodi court, belongs to the genre of square tombs seen in the Hauz Khas area and in the Lodi Gardens. The ceiling has a bold geometric design in black and white, a precursor of the elaborate geometric patterns in Mughal buildings. If you walk a few yards north, you will reach another enclosure with two remarkably well-preserved buildings of the same vintage. Bade Khan’s tomb is large, about 22 sq. m (26 sq. yds), with us bulk cleverly underplayed by a trompe l’oeil, which creates the impression of a double-storey building by us leans of sunken arches. The ceiling decorations and the sandstone pendentives are striking. 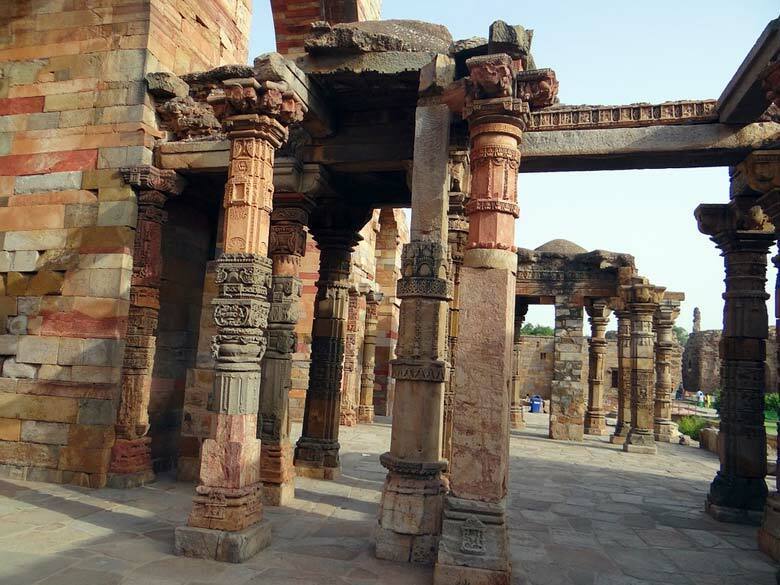 A comfortable staircase, wider and with more shallow steps than are usually found in monuments, leads to the roof where three of the four corner chatris are in perfect condition and offer a vantage point for a wonderful view. The other structure, Chote Khan-ka-Gumbad, has some blue tiles on the exterior, and rich stucco decorations in the interior, far more elaborate than in any other contemporary building. Due west of these two tombs, next to Kidwai Nagar Market, is the uncovered marble tomb of Dariya Khan, the son of Mubarak Khan. This is set on a vast three-tier platform with chatris on the four corners. 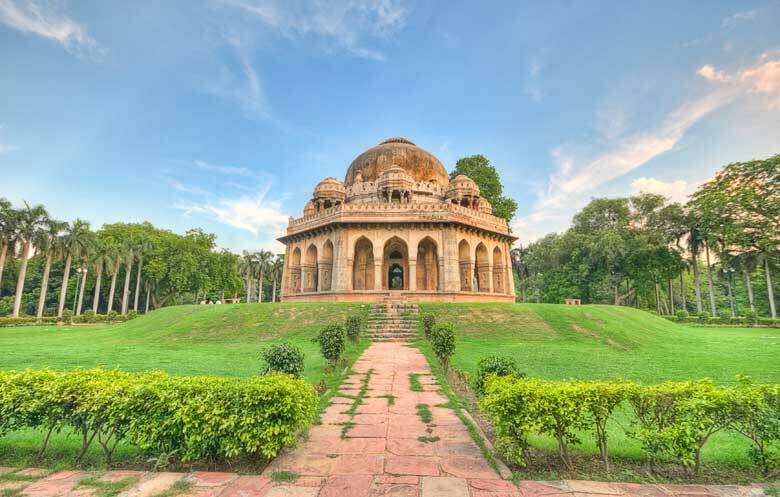 For more information about Hauz Khas Village and Delhi Sightseeing Tour by Car Contact Swan Tours, One of the leading travel agents in India.